OK, didnt know where to put this. My hunting rounds this year are (270 WIN)Barnes Tipped TSX 270, 110 gr, Hodgdon H4831SC powder, Win LR mag primers and RP cases. I'm getting sub MOA at 100 and 200 yards at my range, with a muzzle velocity of 3250 or there abouts. Finally got a chance today to stretch them out a little. Confirmed my zero at 200 then moved out to max distance...lazered at 669 yards. Using my new Leupold lazer range finder with the TBR, it told me the drop would be 12.9 MOA at that distance. I dialed in 13 MOA and fired 3 rounds from prone. Wind was awfull as it was moving from 7 o'clock to 4 o'clock and gusting to about 13MPH. During a steady phase, it was 3-5mph. So with 13MOA elevetion and 2MOA windage, and trying to wait til a 7 o'clock wind to fire, I got a 4.5" group centered around the 7 o'clock position 5" from the X. Not to bad in my book for a hunting bullet. No pics yet but target is in my reloading room. That's not too shabby! I'd take it. Looking at PointBlank it appears that you've got about 725 ft-lbs of energy left at 700 yards. Donut Slayer, the 110gr Barnes TTSX is a great hunting bullet. One aspect you have to consider is that monolithic copper bullets need 1800 to 2000 fps to start mushrooming/expanding. Until I test bullet expansion at those ranges, I've been using 2000 fps as a minimum for my max range. I started out with 110gr TTSX as my hunting load and have now shifted to 130gr Hornady GMX. It has a 0.453 BC and has held tighter groups for me at the longer ranges. I'm getting 3100 fps at the muzzle with 55.5 grains of IMR4350 and CCI primers in Remington brass. Oh, I'm not planning on hunting at that range. I'm limiting myself to 400 yards. I just love shooting long range and I didnt have any SMK 135's loaded up. Them 135's will group. Here is a 2 rd group at 500 yards 135 Sierra Match Kings. I better pull finger and get some loads sorted proper , mind you though we lazer ranged me hunting area the other day 240 yrds is the longest shot I would expect to take any time soon . That's a combination of a good load and an EXCELLENT hold. Yup what Stovey said, thats a keeper load!! I know this is an old thread, but wondered what sort of performance you got on game with the 110 ttsx load. jimincfalls, I assume you are going to use it in a .270 Win. as opposed to a 6.8mm SPC. The 6.8 doesn't have enough velocity or twist to use the TTSX effectively (110 TSX is a different story). You may have to try both (or all three, TTSX, LRX, GMX) to see how well they do in your rifle. You will get a pass through with all three inside 200 yards and likely further. You will not get as large of a wound cavity as with a fragmention bullet (SST) or bonded bullet like the AccuBond or InterBond. You will get more penetration and less meat damage with the Barnes and GMX but the game may take a few more steps after they are hit than with other lead-core bullets especially if you miss the vitals. I forgot to mention that, to me, the true test of accuracy is consistency from range session to range session, not the group size from one range session. 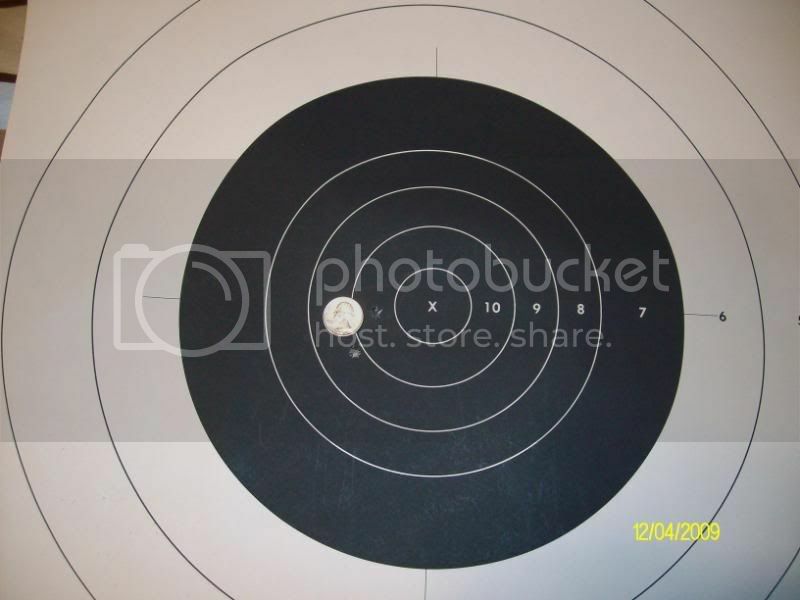 I take the same paper target to range and shoot 2 shots at 100 yards from my hunting rifle every time I go to the range during the year. I tape it up from the back with a different color tape and take it out again. After several trips I have a record of just how consistent and accurate my rifle is. The 130 GMX and 129 LRX win that competition with my Tikka T3 Lite. I forgot to mention that, to me, the true test of accuracy is consistency from range session to range session, not the group size from one range session. Excellent point. It is easy to get hung up and point to those groups that occurred on mystical days when all things are right and the shooting gods smiled, but will those same loads hold up day after day? I still have a five-shot group on my wall from a Ruger Target/Varmint in .243 that has all five inside of .5" at 300 yards. That rifle and load (not to mention myself) didn't ever do that again and, in truth, usually averaged a little over twice that size on a very good day. Dependability trumps fluke every time! I forgot about this post. 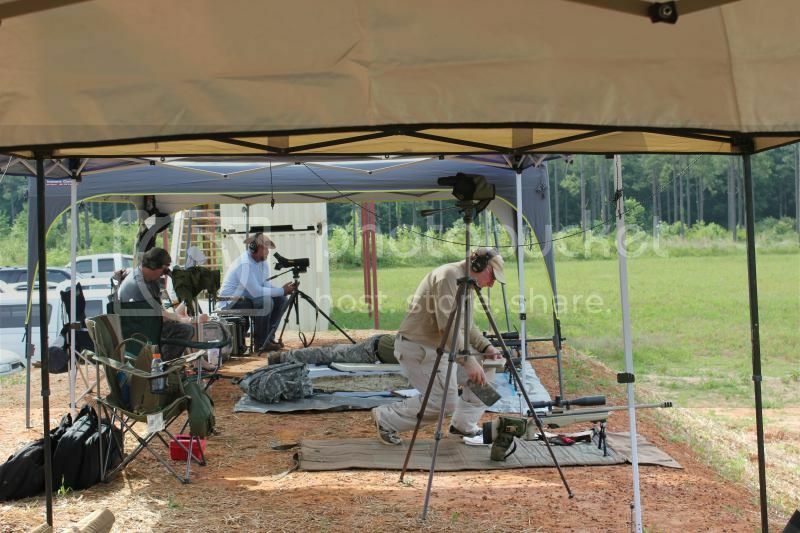 This past May, I was invited to a sniper shoot at Legion OTG in Blakely GA. 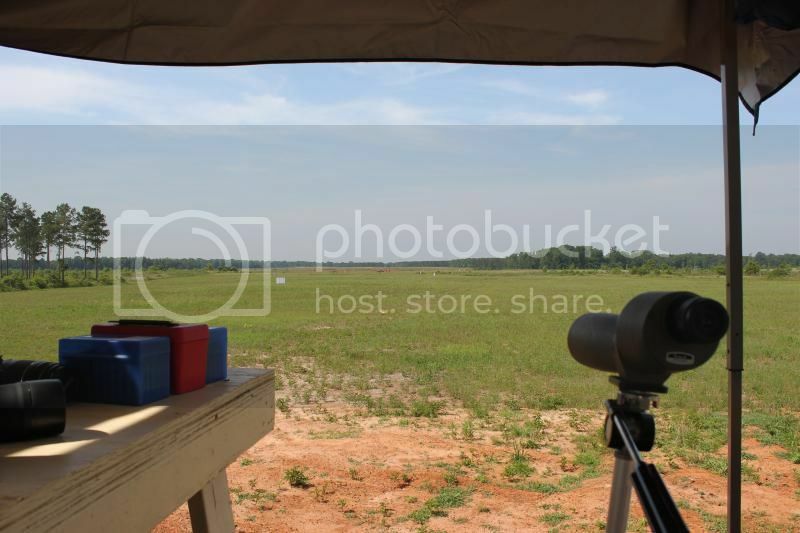 They had steel targets out to 2500 yards or so. I helped range the targets the day before the shoot, and they were marked out to 1100 yards. Using my 135gr SMK loads, I had 1st round hits on the steel all the way to 900 yards. Took about 3 rounds to get the correct dope for 1100, but finally I was able to hit it consistantly. Never connected that I know of past 1100. The field wasnt bush-hogged past 1100 so it was very difficult for my spotter to call my misses. 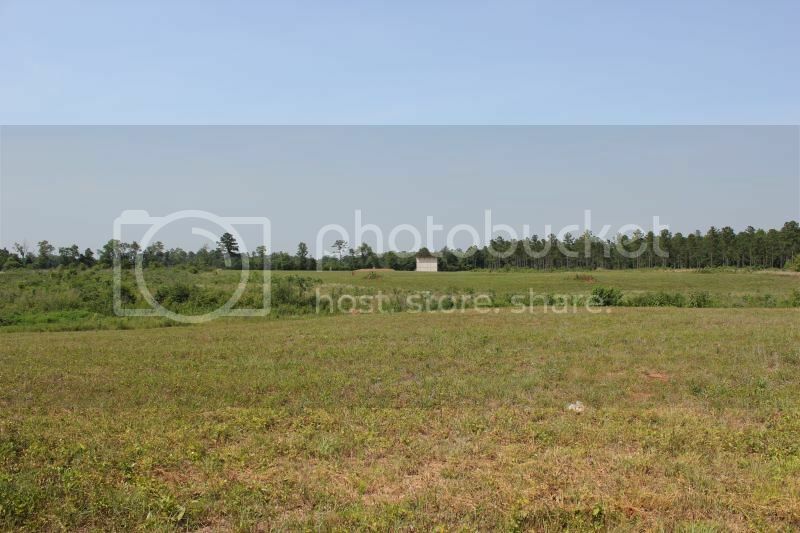 This is a photo from the 800 yard position looking back at the firing line. Florida sure is FLAT and sandy...Ya got any trees out there? Or is it all bushes...? It was SW Georgia, and its all bushes.